This butterfly is not real. It is from a Worth1000 Photoshop contest “Bubble rap 4” by Tyeise. 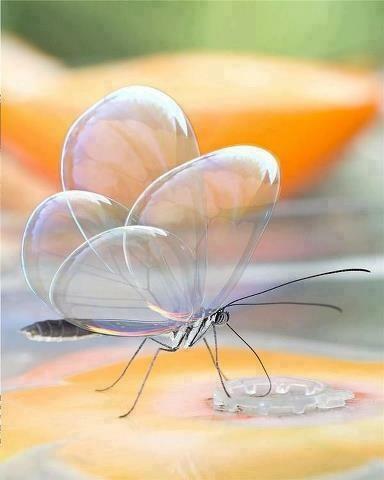 See also the pre-Photoshop photo of Translucent Butterfly by Erwin Bolwidt. Debunked by @PicPedant (Twitter).